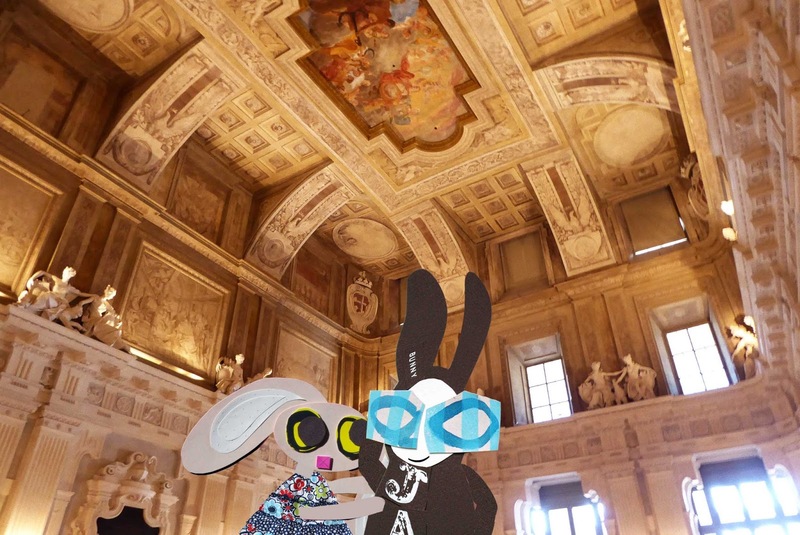 The Wabbit and Lapinette wandered through the Department of Wabbit Affairs - and thought about lunch. "The Department Bar does good salad sandwiches," said the Wabbit. "Oh, I feel like something more substantial," replied Lapinette. The Wabbit shrugged and smiled. "In the bar, I can sign for sandwiches and I don't have to pay until next month." Lapinette shook her head vigorously. "Didn't you hear? There's a moratorium on expenses. The Royal Seal has disappeared." The Wabbit knew the Department was far from royal - and certainly didn't need a seal. But it was the way things had always been done. He flapped his paws together and made a honking noise. Lapinette groaned at such an old joke. "The Department is worried that the seal may have fallen into the wrong paws. Until it's found or replaced, only essential claims can be made." The Wabbit slapped a paw to his head. "Sandwiches are essential." Lapinette was sympathetic. "It would be much easier to find the seal, than change the Department's procedures." "Any clues?" The Wabbit cast his eyes up and down the hall, just in case a clue might suddenly appear. "We could try the market," said Lapinette; "Most things gravitate there." The Wabbit leaped with joy. "And we can get food and an unobtainable jazz album." "I know just the place," smiled Lapinette; "It's called Pasta on a Platter."